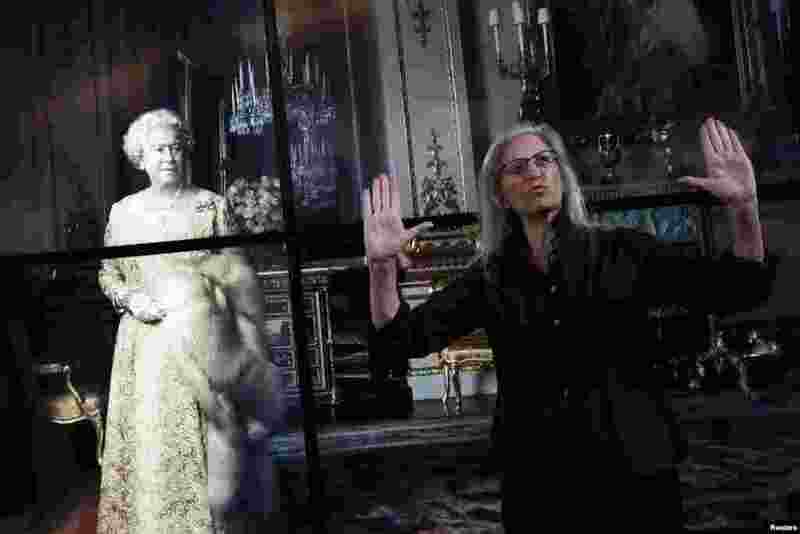 1 U.S. photographer Annie Leibovitz gestures during a press preview of her exhibition 'Women: New Portraits' at Wapping Hydraulic Power Station in London, Britain. 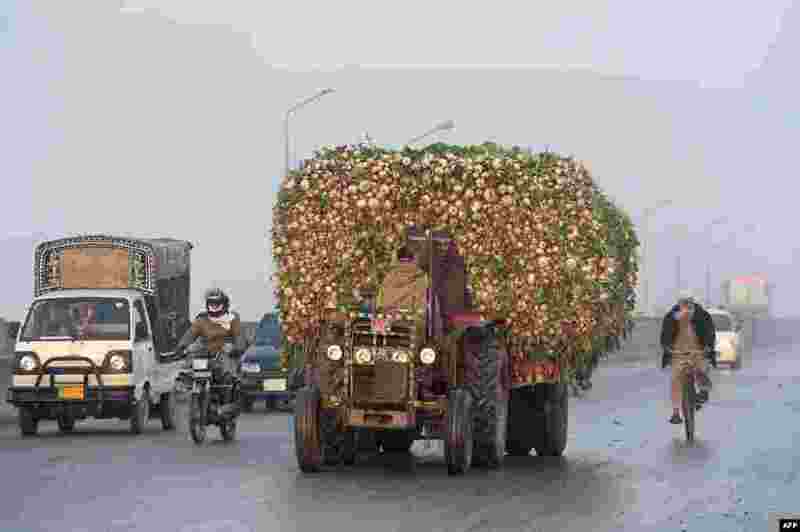 2 A Pakistani farmer drives a tractor loaded with radishes on the way to a vegetable market in Lahore. 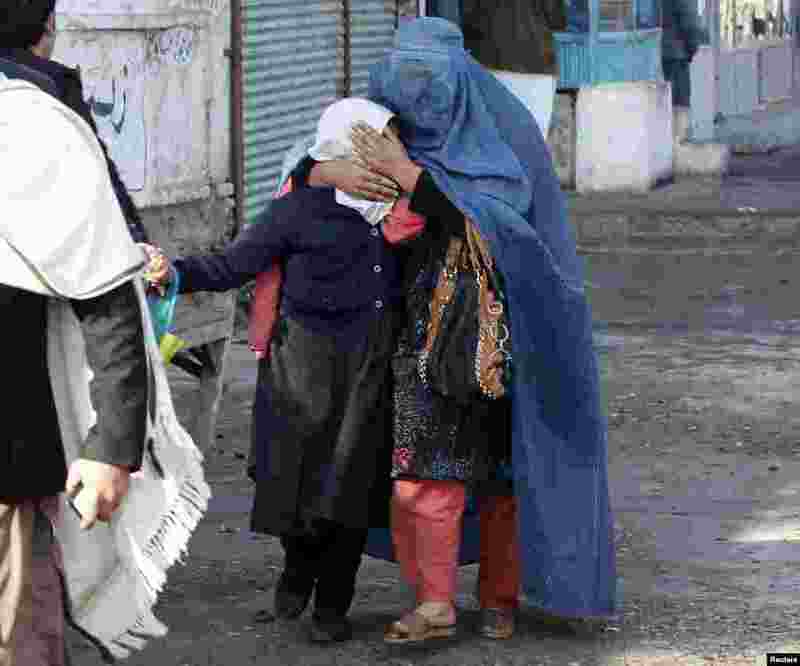 3 A woman and her daughter walk away after a blast near the Pakistani consulate in Jalalabad, Afghanistan. Afghan security forces exchanged fire with gunmen barricaded in a house near the Pakistan consulate in the eastern city of Jalalabad after a suicide bomber blew himself up, officials said. 4 The jerseys of the national soccer teams of all FIFA's member countries are shown in the rainbow room at the future FIFA World Football Museum during a media preview in Zurich, Switzerland, Jan. 12, 2016. The FIFA World Football Museum will be open to the public on Feb. 28.